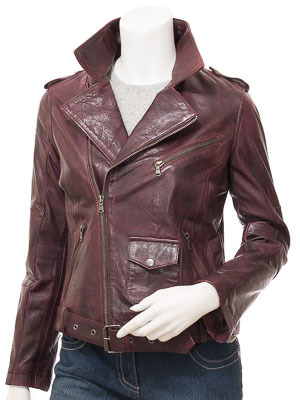 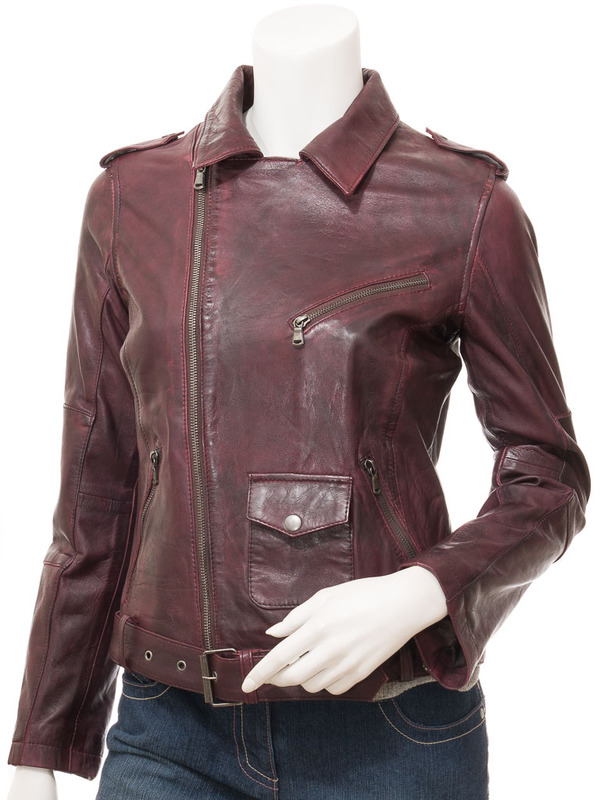 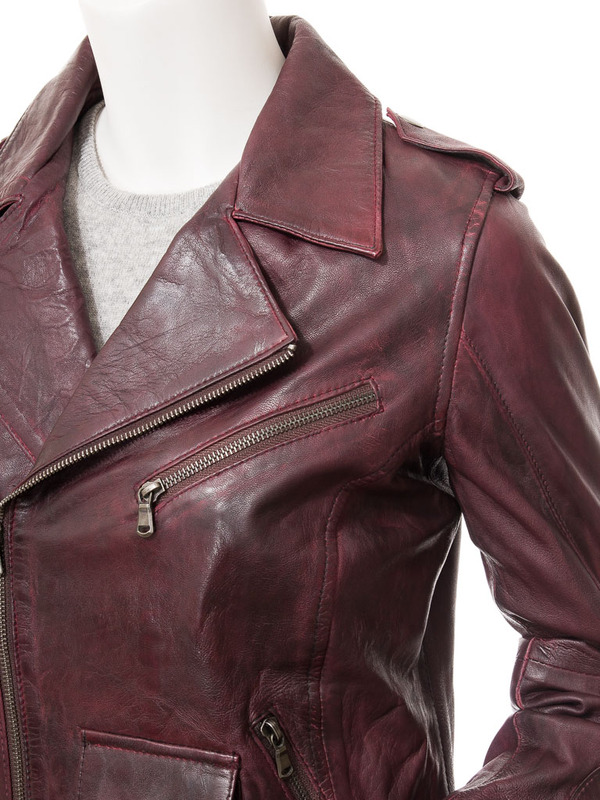 The classic leather biker-chick jacket in a vintage oxblood colourway. 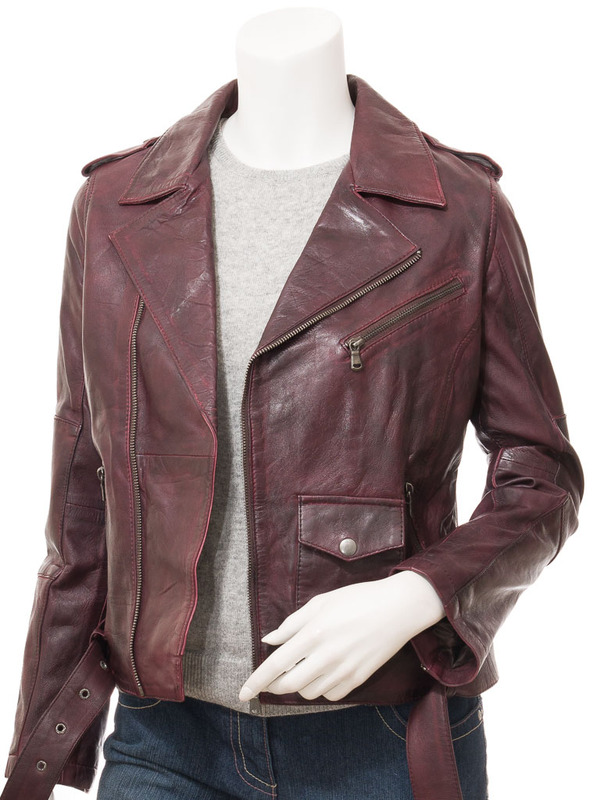 Created from super soft sheep nappa hide and cut a little longer to sit just on the hip this style is timeless. 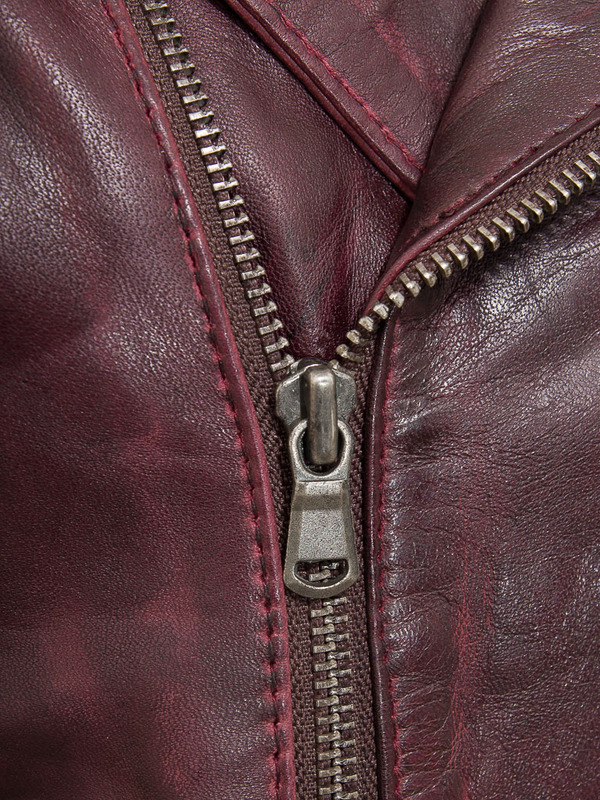 It uses a YKK zip angled diagonally up to double breasted lapels that are fastened with press studs but can be released to enable the jacket to be zipped right up to the throat. 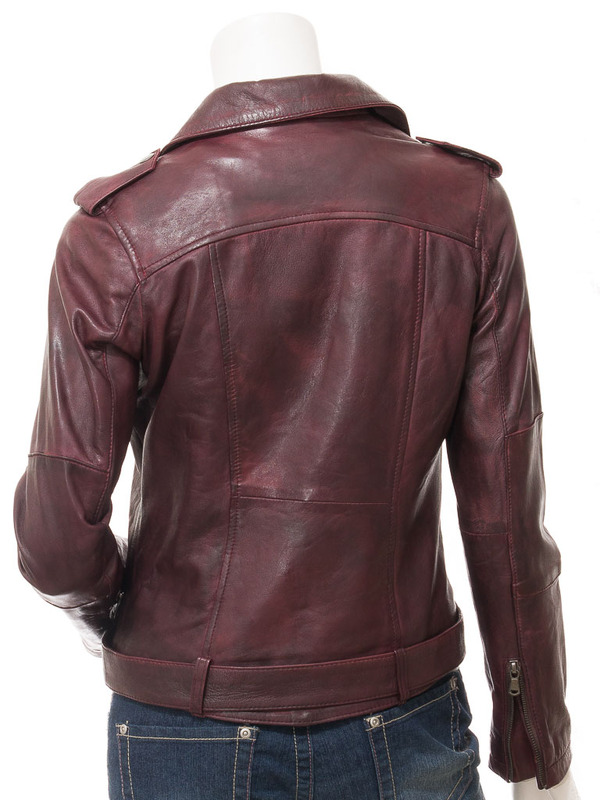 Useful in chilly winter temperatures.